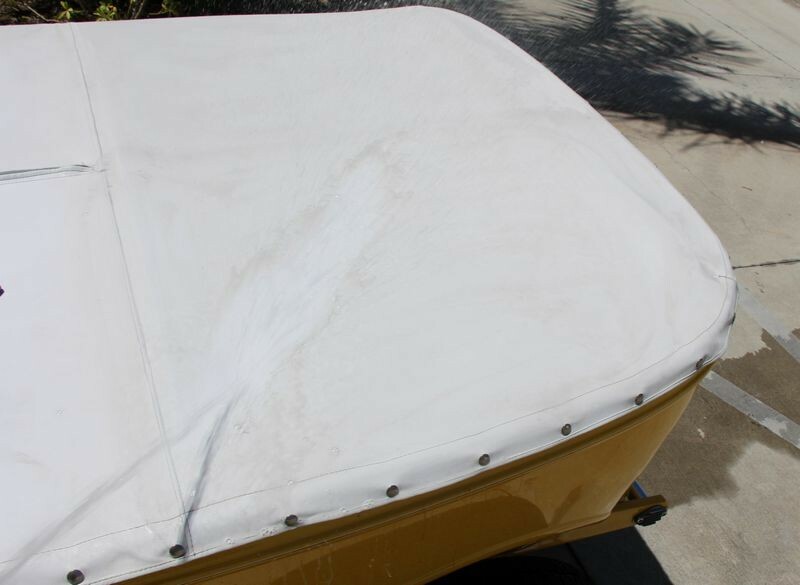 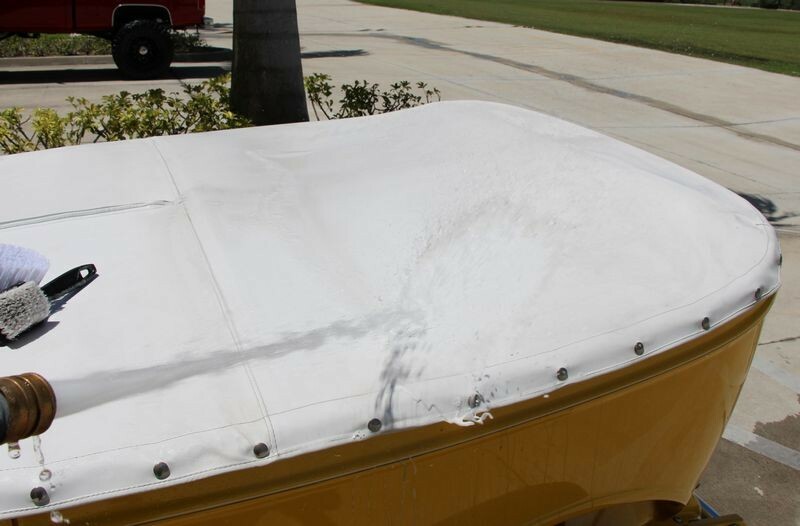 Sunbrella - Canavas - Vinyl - Fabric - Uphostery Cleaning, restoring and protecting all the various vinyl and cloth materials in and on your boat. 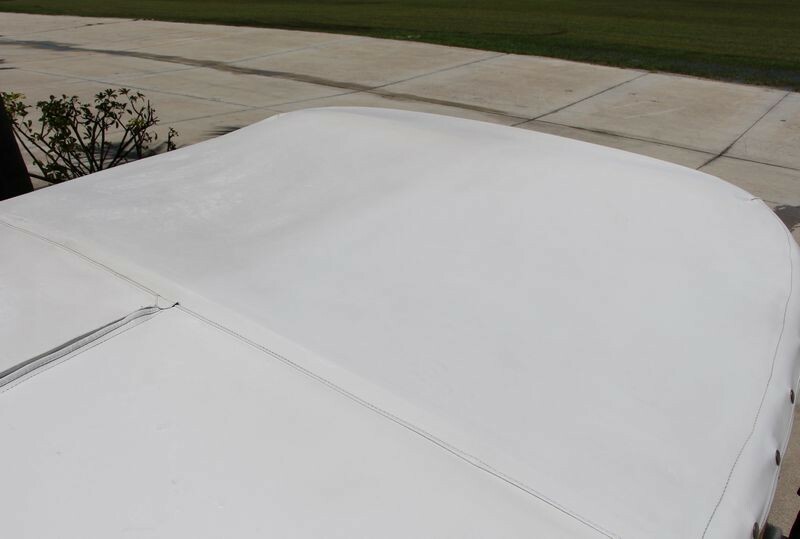 In these two shots, you can see the last 1/4 I have to clean. 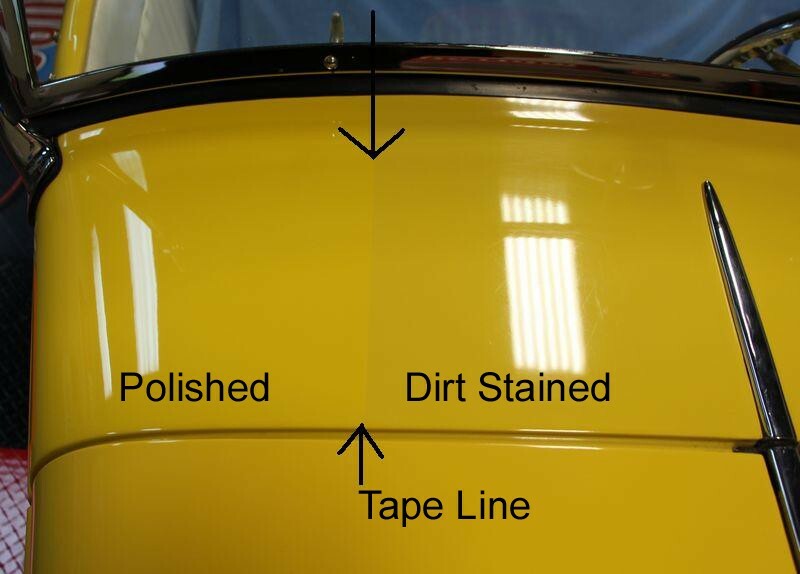 After shooting the video I could see the sections I scrubbed by hand were not as bright and white as the sections I did by machine so I actually went back and re-scrubbed them for a uniform appearance. 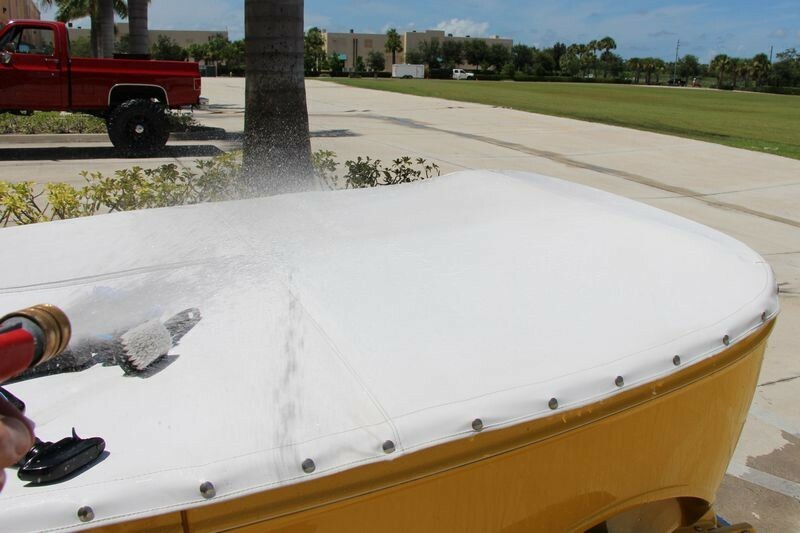 Cleaning dirty vinyl tops and tonneau covers is hard, dirty work. 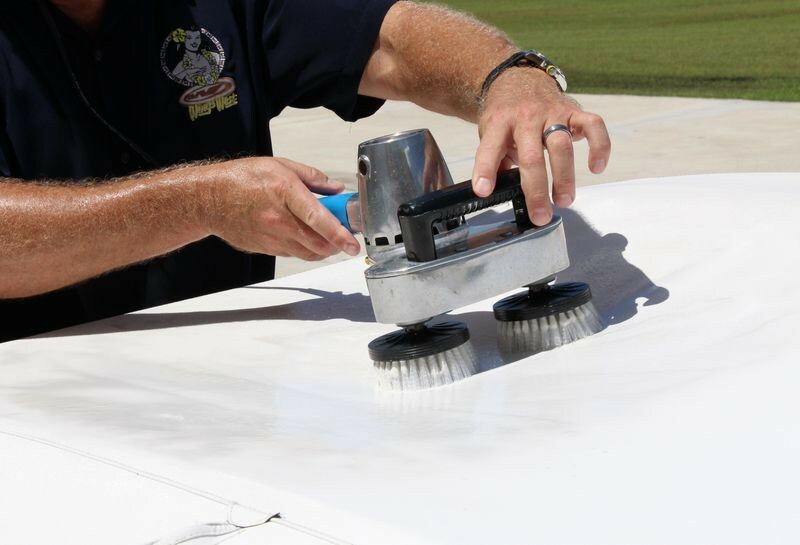 The Cyclo polisher takes all the elbow grease out of the job and does a much better job than working by hand. 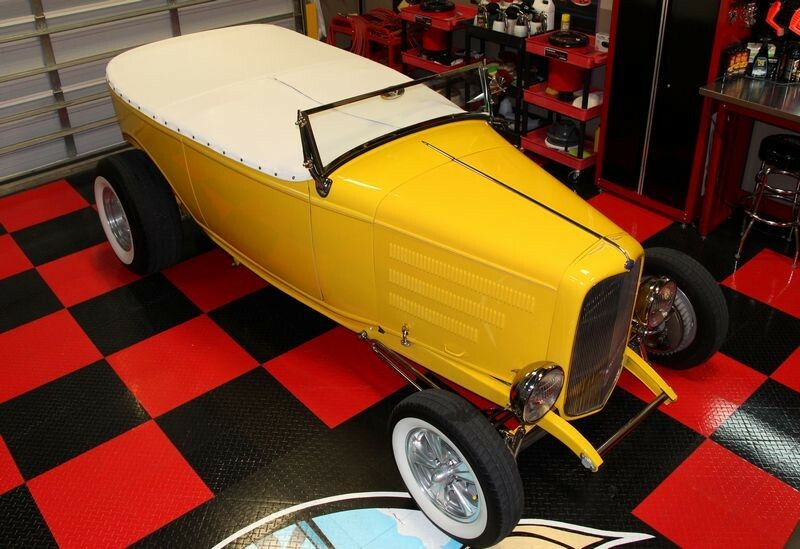 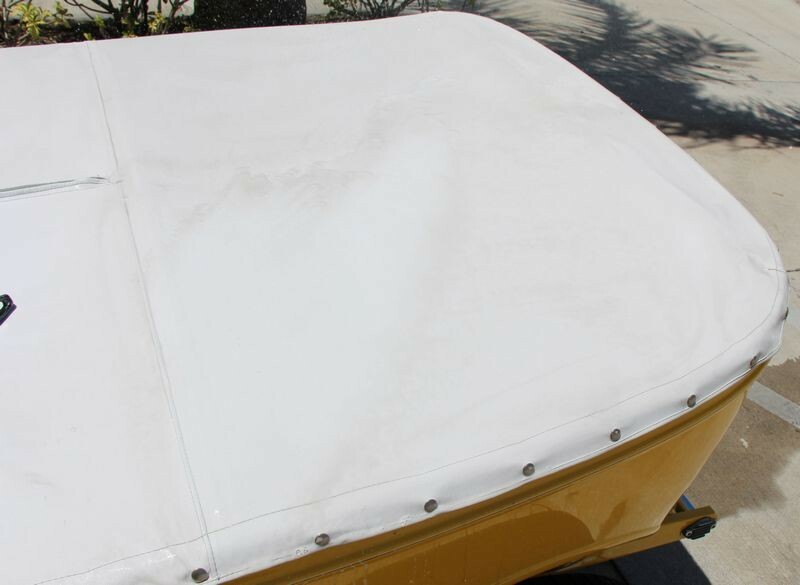 Here's a list of the products I used to restore a brilliant bright white to the dirty vinyl tonneau cover on this 1932 Ford Phaeton. 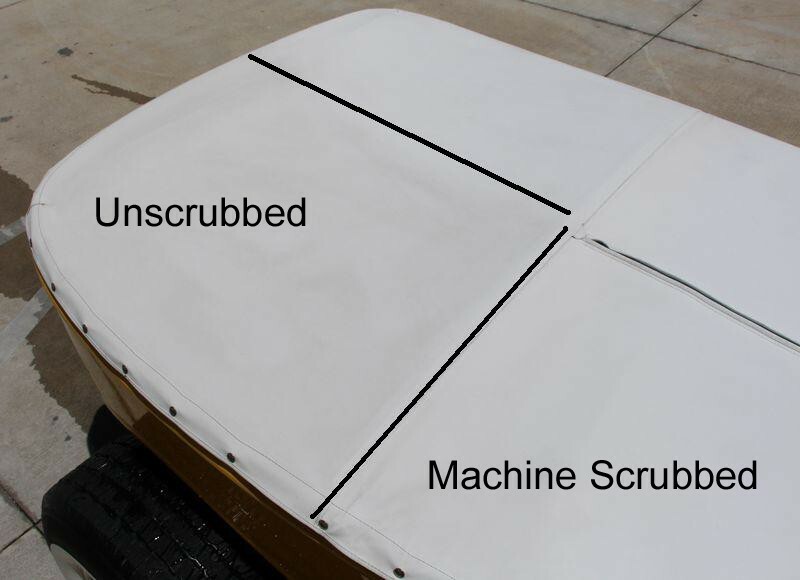 You can use these same products on any vinyl detailing project, automotive or marine. 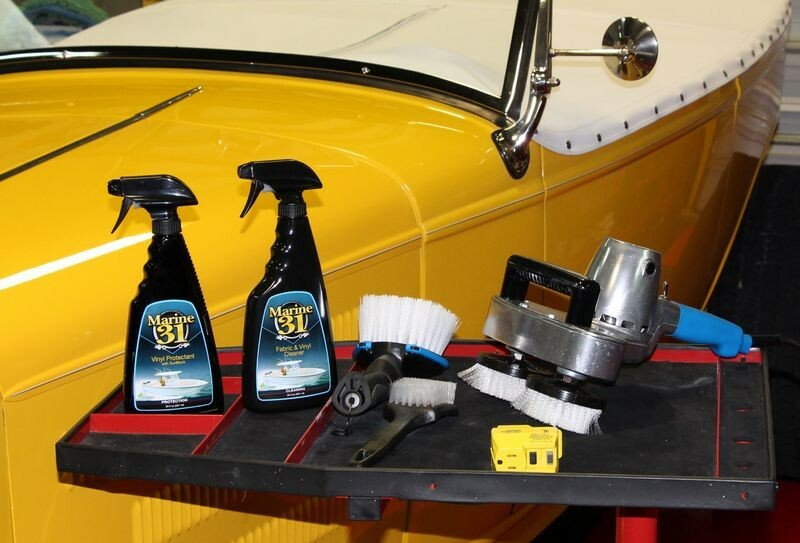 For more tips on car detailing in general, for example how to get a show car finish like I created on this 1932 Ford Phaeton, get a copy of my how-to book. 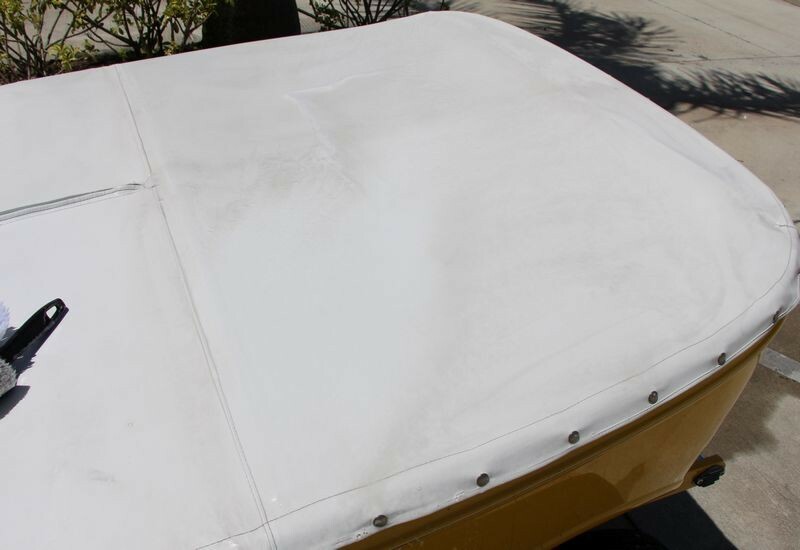 To get an idea as to how dirty this vinyl tonneau was before I cleaned it, here's a picture that shows how dirty and stained the paint was. Here's a section I've taped off on the cowel because me and one of our forum members already buffed out the hood when he stopped by to test out polishers. On the left I've clayed the paint and then machine polished it twice and then applied a coat of wax. 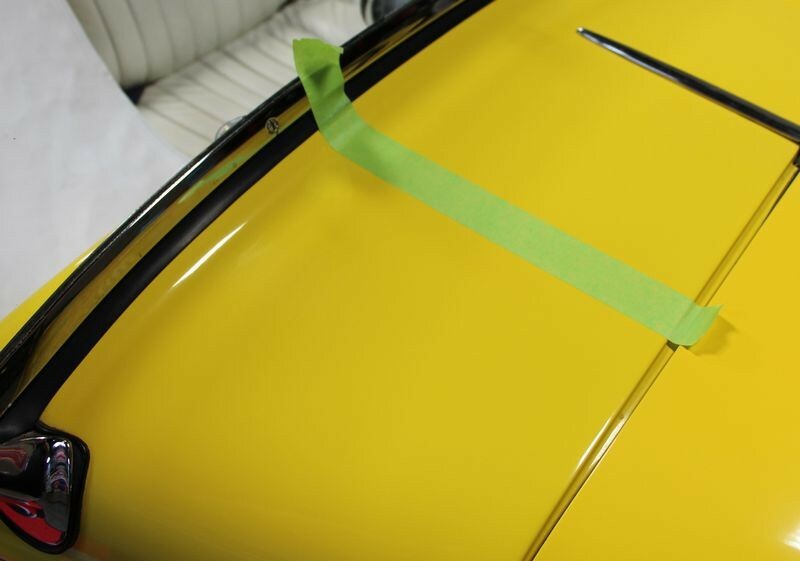 You can clearly see the left side is now a brighter color of yellow and the right hand side has what appears to be grayish film over the paint. 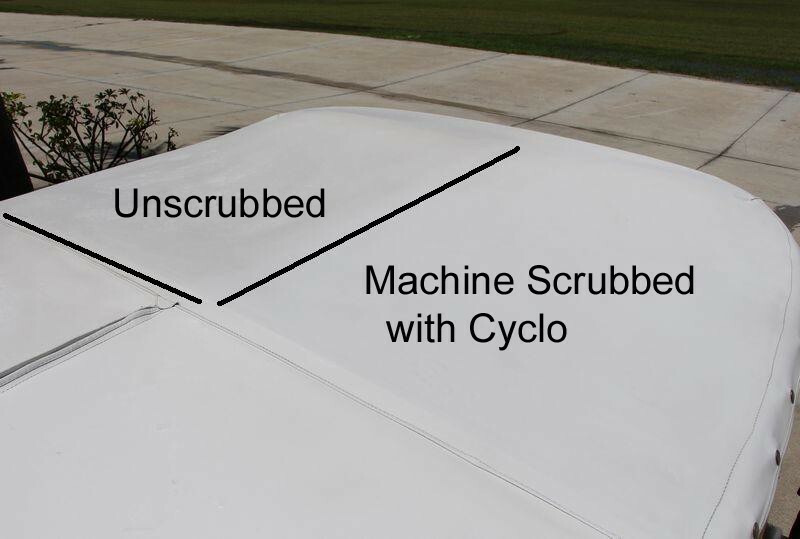 Here I've taken pictures 18 and 19 and added a couple of black lines to more clearly define the last remaining dirty section to show the before and and after difference.